Not all heroes are born heroic. 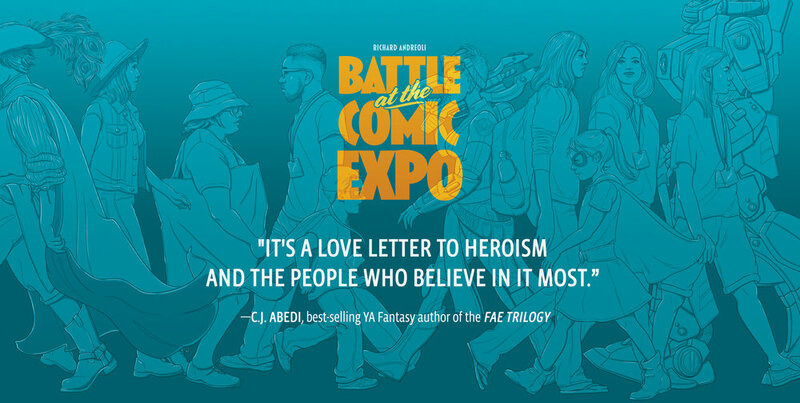 What is Battle at the Comic Expo about? Is it related to Comic-Con in San Diego (also known as Comic-Con International: San Diego)? Is there a connection to this book and The Con Artist by Fred Van Lente and Tom Fowler? Find out here. Ron Lionel is the hottest creator working in comic books today. His comic series, The Enduring, sells out every month and is set to become a major motion picture. Ron has no problem using his status to get what he wants, whether that be special treatment from his publisher or seducing fangirls into bed. Joe Cotter, on the other hand, gave up his dreams of being a writer years ago, and now lives for a steady paycheck. Joe has a sense of right and wrong that was born from years of reading comics, and as the security chief for America's Finest Comic Book Expo he's as strong-willed as any hero with a power ring. Enter Velma, an obsessed fan with some disturbing questions about The Enduring. When her righteous plan to gather answers backfires, the two men are swept into a dangerous world where heroes and villains don't come from spider bites, or alien planets, or have simple back stories. Can the man with the mightiest ego work with the world's most immovable force to save each other and stop Velma's demented vision? Or will they end up being the catalyst that helps destroy the largest comics event in the United States? 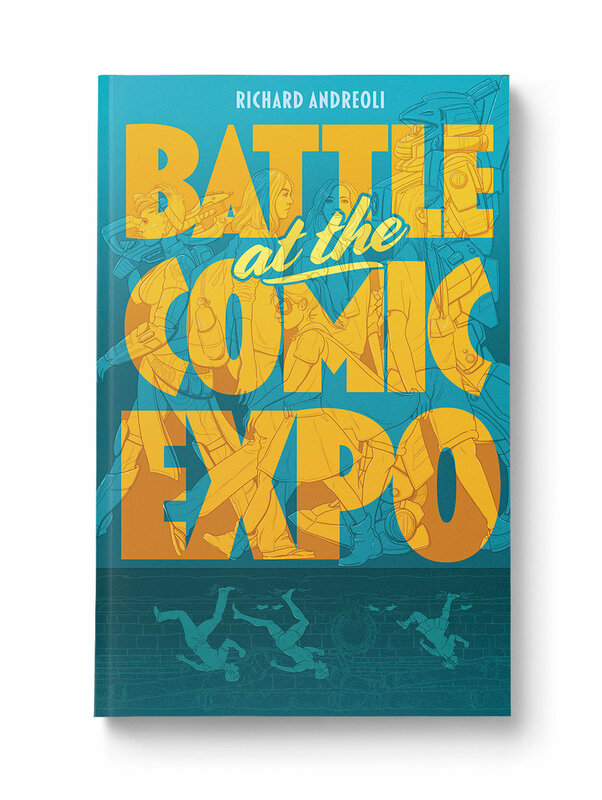 Get the book, true believer, and find out in the epic dark comedy Battle at the Comic Expo. Discover more about the world of Battle at the Comic Expo. Visit America's Finest Comic Book Expo -- where the biggest names in comic books and pop culture gather in beautiful San Diego, CA! And where our story takes place. Your privacy is respected. I won't SPAM you -- I promise!